The application was moved in the court of Additional Chief Judicial Magistrate Sudhakar Dubey here by lawyer Kamlesh Chandra Tripathi here yesterday. VARANASI: A court today fixed November 22 for hearing a complaint against actor Kamal Haasan for allegedly hurting Hindu sentiments with his recent remark that "right- wing groups can't deny existence of Hindu terrorism". The court today decided to hear the matter on November 22, Tripathi said. 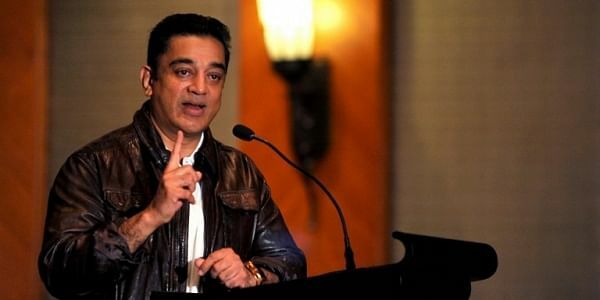 The complaint has accused Haasan of hurting religious sentiments of the Hindus by making the "inflamatory and derogatory remark of Hindu terrorism". It has sought a directive asking the actor to refrain from making such a remark given the public following he has. This remark has "deeply hurt" the sentiments of scores of people following Hindu religion, it added. Tripathi, in his application, has sought lodging of a case under the IPC against Hasaan for alleged defamation and causing hurt to religious sentiments.